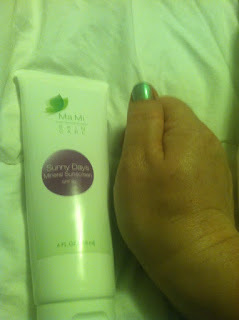 We were thrilled to receive Ma Mi Sunny Days Sunscreen to review on MamaBreak! It is summertime, and for us that means tons and tons of sunscreen. I have very light skin, so I constantly have to lather on the sunscreen! 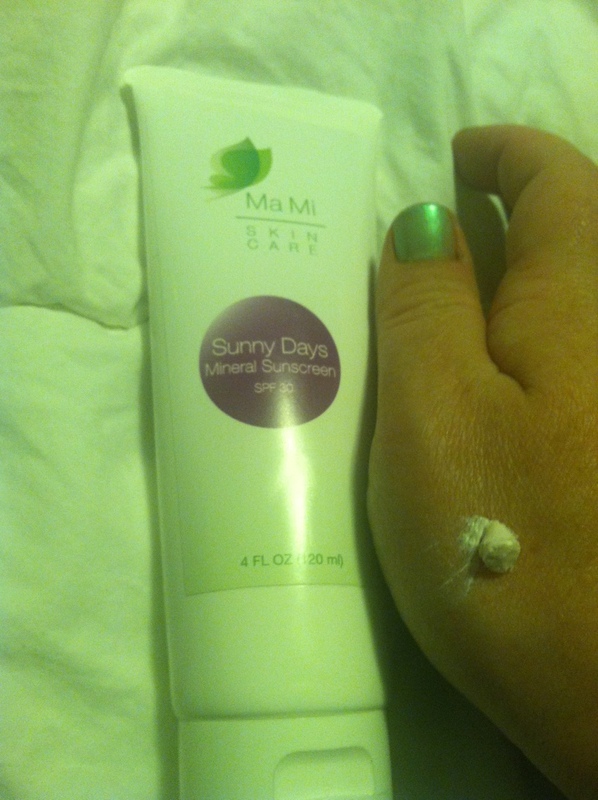 We love using the Ma Mi because it protects against UVA and UVB rays. I would STRONGLY encourage you to look at your sunscreens because having proper skin care in the sun is so important! Recently, a friend was looking at her face sunscreen and noticed it did not say "broad spectrum." It said it was sunscreen, but did not include protecting from UVA and UVB! Make sure you check the labels, as this was a recent change and it only protected her from UVA rays! 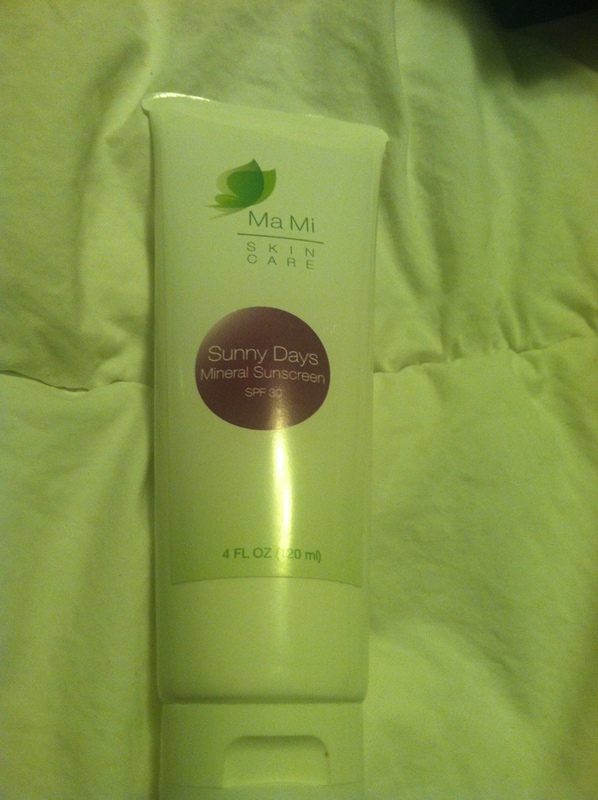 Ma Mi Sunny Days also protects against Infrared and is Anti-MMP (protects against sun induced collagen damage). What we love most is this mineral sunscreen is Paraben-free, Fragrance-free, and PABA-free. This natural sunscreen does NOT contain Benzophenone, so it is safe to use during pregnancy and for breastfeeding moms! Purified Water (Aqua), Aloe Barbadensis Leaf Extract, Green Tea (Camellia Sinensis) Extract, Octyl Stearate, Sunflower (Helianthus Annus) Oil, Stearic Acid, Glyceryl Stearate, PEG-40 Castor Oil, Soybean (Glycine Soja) Oil, B-Carotene, Silica, Polyglyceryl-3 Oleate, Phenoxyethanol, White Birch ( Betula Alba) Oil, Sodium Benzoate, Xanthan Gum, Allantoin, Dimethicone Copolyol, Tocopheryl Acetate, Retinyl Palmitate, Iron Oxide. Want to win your OWN Ma Mi Sunny Days? Enter Below! I like to spend them in my backyard. i like to spend it on the beach..it is so relaxing. I like to spend time playing in the flower beds. At the dog park! Nothing beats being in the sunshine. I like walking around our neighborhood, or hiking at the county park. I spend most of my summer days out in the backyard sitting and working in the garden! I enjoy spending time in my backyard or at the lake. at the beach or walking around flea markets. I love going to the riverfront. At the lake or my backyard in my gazebo reading a book watching the kids play. I like to sit on the deck with my husband and son and our dogs . picnic or hiking at the mountain! I love to go swimming at the lake or hiking in the woods near our home.